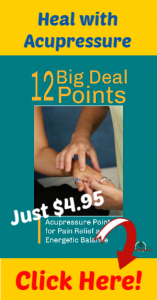 How do I contact acupressure points? How to contact, press, or massage an acupressure point is one of the most common questions people ask me. Below is my protocol for working with acupressure (also known as acupoints, points, acupuncture points). Ask the person to verbalize if they want more or less pressure. Notice if their breathing becomes restrained (lighten your pressure), or more relaxed (you have the right amount of pressure). Keep your intention focused while sensing the Qi (energy) at the acupressure point. You will feel an urge to vary the depth, to use small circular massage, or to be still – follow that urge. These urges are your intuition responding to the Qi. This is your direct guidance from the Qi. Your contact will vary from person to person, and from acupoint to acupoint. Because we are all different, it makes sense that our contact with acupressure points will vary based on our individual differences. Honor your experiences as they are your direct learning from Qi. With practice and experience, you will be confident in your ability to know how much pressure to use on acupressure points. I promise! Thank you Cindy, as always you are able to explain how to best use our knowledge, understanding and intuition as we learn to use accupressure. Hi Cindy. I just wanted to give you feedback regarding current class I am in 60 Transformational Acupoints. I am really learning a lot. Thanks for yesterday comments particularly making a distinction regarding western and eastern approach in acupuncture or homopathic treatment (the quick fix approach)! 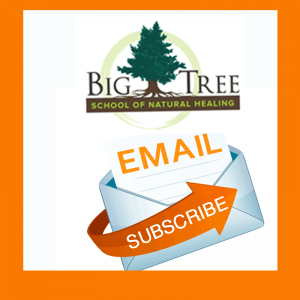 Rather then approaching the systems of the whole body knowing , with many of our clients, you need to suggest there are lifestyle issues involved which is more then one treatment of a couple points. Once cun is the width of your thumb, 3 cun is the width of your four fingers together. hi, Cindy, it’s Donna again. I’ve done some snooping and this medicine is amazing but still, believe my own injuries would hinder my performance. do you? well, I wanted to know where do i start. this is fabulous information to learn, just for the sake of learning. and your mannerism is superb. your wealth of knowledge blows my mind. One premise of doing this work is be comfortable within your own body. I call this an approach because we will all have our own style based on the limits and possibilities of our body-mind-spirit. 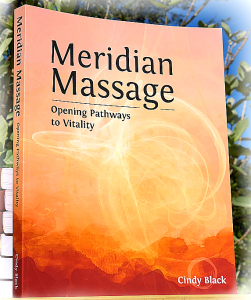 There is no one right way “to do” the work, so I do think you can learn to practice Meridian Massage. Your experience will be your best teacher! I’m sorry to hear about your pain. I would try these points – gentle pressure only, do not create additional pain with too much pressure. Stay with it, experiment, notice your results and keep trying. For points around the nose, please review points for sinus pain post – try gentle pressure on those points too. I make a warm salt water mouth rinse that soothes my gums – just a little cup of warm water and a little salt – simple and it feels great. I use gentle pressure on the points, don’t have much experience using essential oils on them. You need to be cautious when using essential oils around the eyes, nose and mouth.